Meteorological specialists, Biral will be attending the InterMET Asia show in Singapore, showcasing a wide number of its new and popular meteorological products. Biral’s Marketing Director, Nathan Neal, will be participating at the show where the company will be displaying a wide variety of meteorological equipment. Amongst these products, Biral will be showcasing its brand new RWS-20 Road Weather Sensor and popular VPF-730 Visibility & Present Weather Sensor. 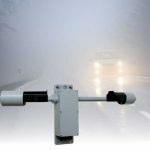 The company’s RWS-20 visibility sensor has been specifically developed for the harsh road-side environment and is based upon the proven and very successful SWS range of sensors, sharing many of its advanced technical features. The new design uses a compact forward scatter measurement principle and remains accurate in all weather conditions, ensuring local light sources, headlights or flashing signs do not impact its operation or reliability. The RWS-20 has a measurement range of 10m to 7.5km, for use in road applications where fog, rain, spray and snow can create dangerous driving conditions. The optical windows and sensor hoods contain heating for use in harsh weather conditions throughout the year. The sensor has been manufactured to allow easy integration with any Road Weather Information System (RWIS). As one of Biral’s most corrosion resistant designs, the VPF-730 provides accurate visibility and present weather measurement and has been specified for many installations due to its efficiency, reliability and performance. The sensor is a compact and robust package which makes it particularly suitable for aviation applications where its high accuracy and exceptionally long service life make it ideal. When the VPF-730 is connected into an AWOS it will achieve highly accurate and reliable results due to its open design, which allows a free passage of air for greater measurement accuracy. 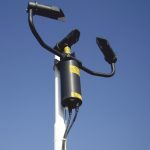 The sensor is also often used for Runway Visual Range (RVR) applications and is in use around the world at regional and at international airports. Biral, a leading designer and manufacturer of meteorological equipment and visibility and weather sensors, will be exhibiting at InterMET Asia where its team of experts will be available to discuss its innovative products in more detail. Further information is available from Biral on +44 1275 847787, or complete our enquiry form.